French 1998 World Cup winning captain, Didier Deschamps, is one of the happiest coaches in the world right now. Against all predictions, Deschamps, now coach of the Les Blues, led his team to a 1-0 defeat of Belgium, which took them to the final of the competition. On Sunday, they will meet either England or Croatia in the final in Moscow and Deschamps knows how it feels to play a major competition’s last match. Two years ago, at home in Paris, France qualified for the final of the Euro 2016 Championship but lost the trophy to Portugal. And now, he feels that winning the title in Russia would assuage his country’s feelings over that miss. He is cautious though as games never go the way the experts predict. “We have given ourselves a huge opportunity by reaching the final. But finals have to be won because we have still not got over the one we lost two years ago. “I was there two years ago with my staff, it was so painful that we really wanted to taste the victory tonight. 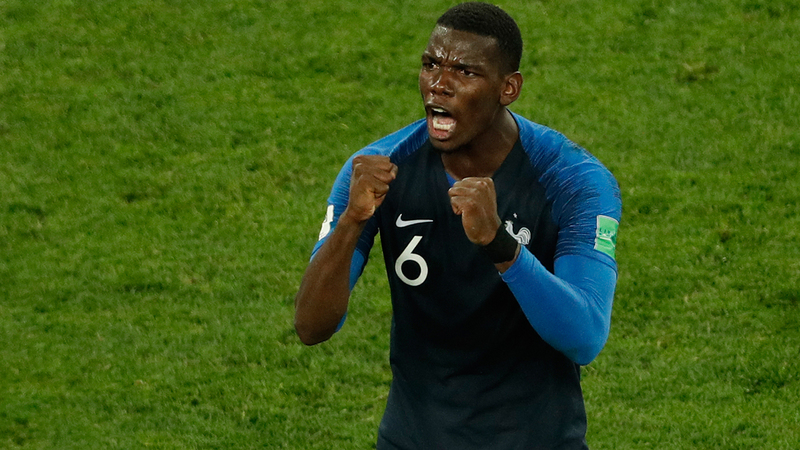 To Paul Pogba, who has faced so much criticism for not playing up to his potential in this competition, Tuesday was the perfect day to answer his critics. Pogba worked his socks off against a Belgian midfield that stroked the ball to any side they wanted at will and came out smelling of roses. But he did not let the occasion pass without a dig to his critics. He said, “I don’t want to prove anything to anybody. Football was my first love and everything I do, I do it for football, I play for football. “I will get criticised again, but today everything is fine because we won. It’s always nice to win, it’s nice hear, nice things about the team and yourself. But I know sometimes you do well, sometimes you do bad, but that’s how you grow. “It’s not like I always do the good things… and they can criticise me but there’s one thing they cannot criticise and that’s the love of football I have in my heart. 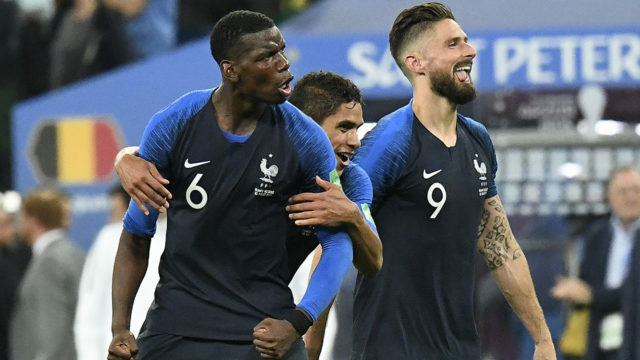 On the final match on Sunday, which would put him among the select elite of World Cup winners if France triumphed, he said, “I am very happy, but it’s not done yet – there’s still one more game.